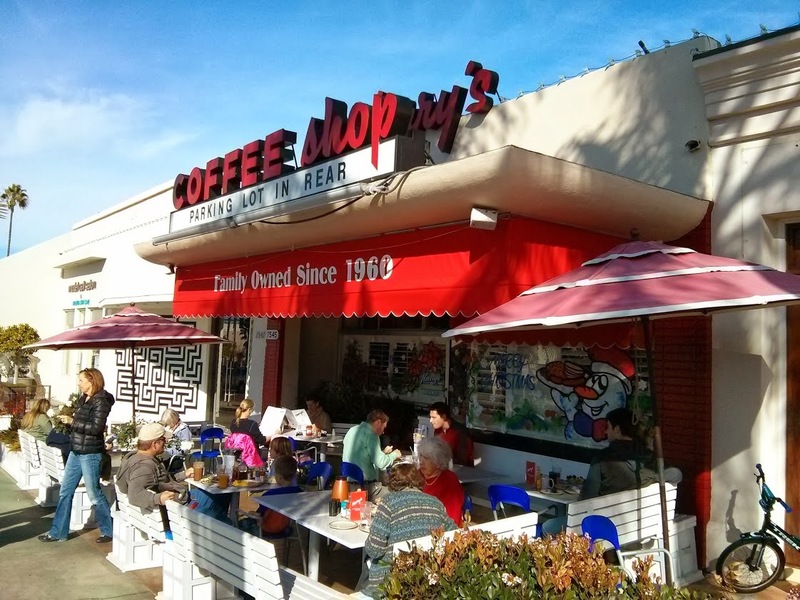 Harry’s Coffee Shop in La Jolla is one of those dinners that offer an eclectic environment and simple food for a great price. As a popular local destination, people fill this location every weekend. As today was the La Jolla Christmas parade, it was even busier than normal. 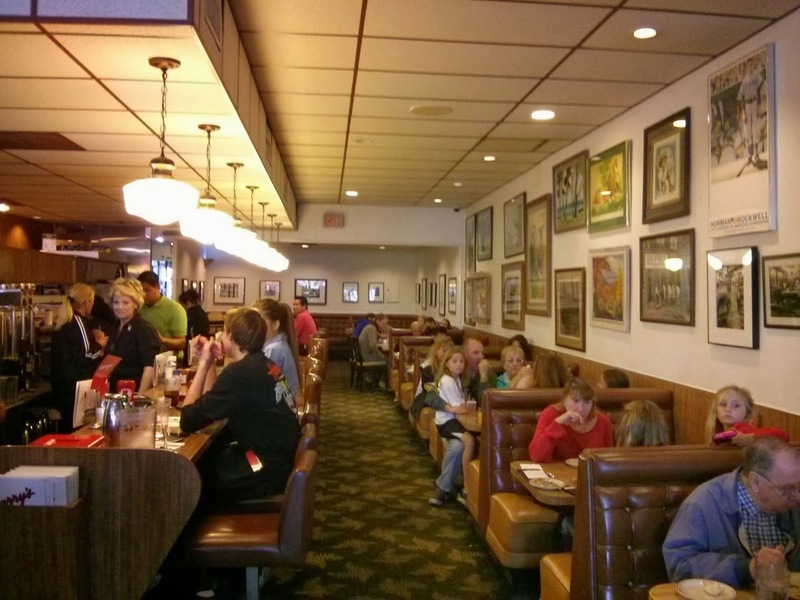 It offers a simple environment with wall lined artistic pictures, diner style sitting, and booths for families. Food is low cost with large portions. 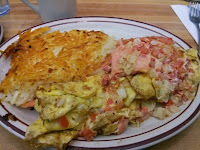 If you are into farm food, you may want to try the smoked salmon omelet. 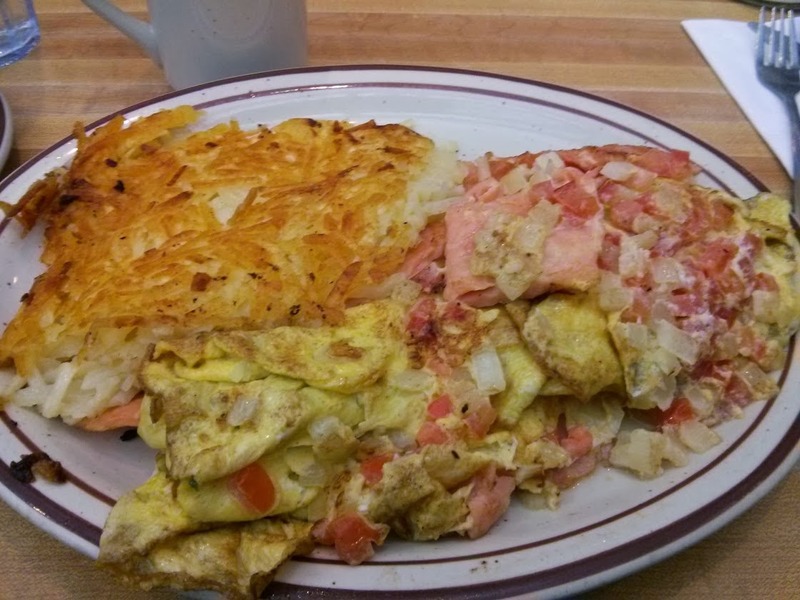 Do not like meat…get a veggie omelet! Both options are full of cheese, and not likely to keep your calorie count down, but certainly will fill your stomach. You may want to choose something a little healthier. 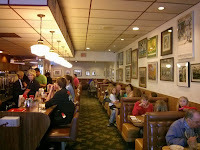 A full menu offers a wide variety with a number of healthy options. Click menu here. It is a lively place with lots of visitors and acts as a local meet and great place. The atmosphere is down to earth, warm and friendly. No need to wear your suit and tie. Today was a little cold but you can enjoy the sunshine on street side dining. Warmers will help keep you toasty. With a great cup of coffee and two meals, you bill could easily be under $30 for two. Down the street from Harrys was the December 8th annual parade. Horses, floats, bands, boy scouts, local organizations, music and excitement fill the streets. The kids scream with delight at the cowboys and elves on horses. Of particular interest was the air show hosting single propeller plans zooming over the crowds. With my new camera, I was able to take a few photos you may want to enjoy.